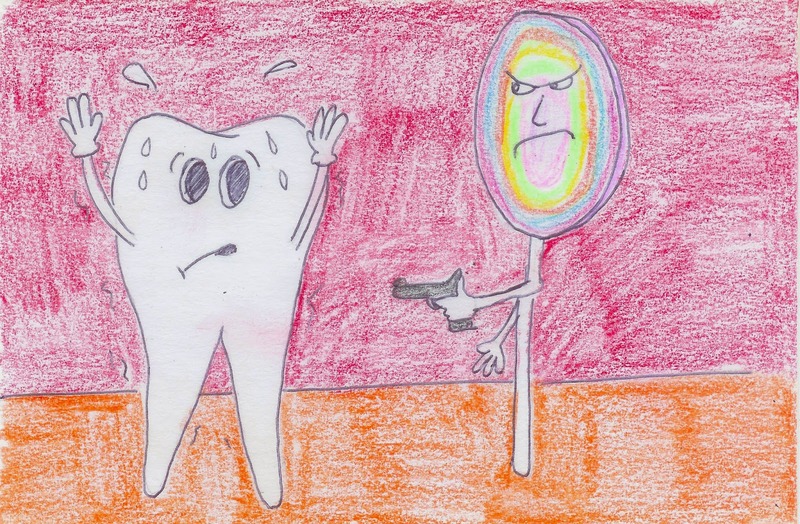 This was a botched robbery, the lollipop was actually looking to hold up the tooth's sister who was gold plated. All he got for his troubles was plaque. This he hung on his living room wall with a plate reading, "World's Best Robber." This was later used as evidence to put him in jail for 20 years, the idiot.